RV Transport | Get Free Car Shipping Quotes Now! Transporting an RV is considerably more challenging that transporting a car, SUV, minivan or a motorbike. A recreational vehicle (RV) is much larger than other passenger vehicles and cannot easily be hauled on a truck in the same manner that most automobiles are transported. Therefore, in most cases, RVs are towed or driven to their destination by the RV transport service. Several companies offer RV transportation services these days. Some companies offer it as an add-on service to their standard auto-shipping operations. Some specialize in RV shipping services and do not transport other automobiles. Instead, they operate purely as independent RV transportation brokers and help customers find qualified people to transport their RV to its ultimate destination. Regardless of the type of company you choose, you have two basic options for transporting an RV. You can either have the shipping company tow it for you, or you can opt for what is known as a Drive Away Service (DAS). With the towing option, your RV will be hitched on to a pick-up truck and towed front-wheels up or all-wheels-down to your destination. With a drive-away service, a driver appointed by the shipping company will drive your van to its new home. RV transport companies usually work with hundreds of independent contractors, or drivers, to transport RVs for customers. These companies can arrange to have your RV picked up from any location and transported to any destination in the country with relatively short notice. Most RV shippers do not own their own towing equipment and most do not maintain their own roster of hired drivers to transport RVs. Instead, they rely purely on independent drivers to move RVs from one location to another. 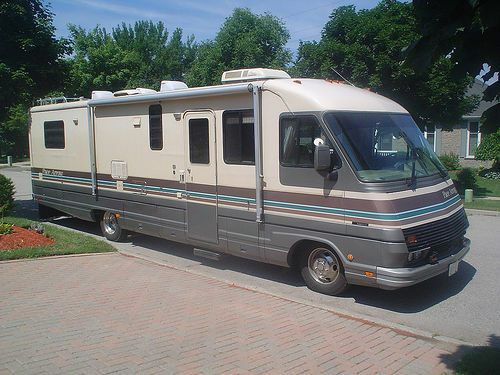 Shipping an RV is very different from shipping other automobiles. So, it’s a good idea to keep the following tips in mind when shopping for a company to transport your vehicle. The quality of the shipping service depends entirely on the contractors that a company has on its lists. Make sure that any company you choose has very stringent standards for hiring drivers to transport RVs. Many established firms, for instance, insist that drivers should be over 25 years old, have adequately powered trucks, high quality trailers and good towing equipment before they can qualify as a contractor. The cost of shipping an RV depends entirely on the distance. Most companies charge a flat minimum rate of between $500 and $750 to ship a RV over a distance of 300 miles or less. They then charge between $1.50 and $2.20 for each additional mile. Keep in mind that these rates can vary significantly depending on the vendor you choose. Compare price quotes before selecting a RV shipper. Most companies offer online tools that allow you to quickly estimate how much it will cost you to ship your RV. Compare quotes from four or five companies before deciding on one. Remember the cheapest company may not always be the best. Your recreational vehicle is a very expensive investment. Always make sure to check if the RV shipping price quote includes adequate insurance coverage.